[AdAge] Although Apple is lagging in “Near Field Communications or NFC”, the technology that makes e-wallets possible, they are leap-frogging the competition with a software based solution that solves the underlying problems facing consumers and retailers. My Take: Leave it to Apple to focus on Apps to solve the challenge. It’s perfect in it’s simplicity. People know how to use apps and they are already comfortable with online payments. This is genius. Google, your technology-based solution just became irrelevant. 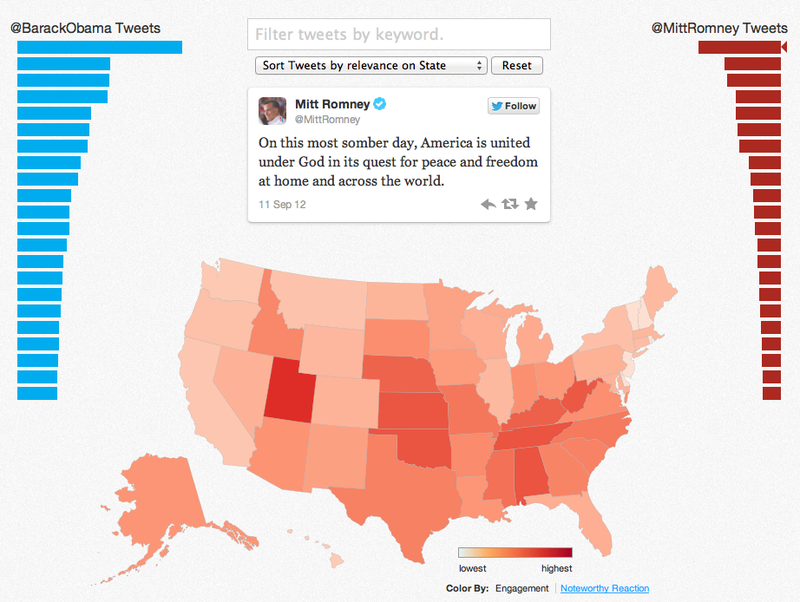 [Wired] Twitter launched a new interactive map on Thursday that measures the effectiveness of President Barack Obama’s and Governor Mitt Romney’s tweets on a state-by-state basis. My Take: As we’ve seen with other LinkedIn features, they are trying this feature out with a limited set of accounts, but don’t be surprised when this feature becomes available to all. Pair this with the recent release of “endorsing skills” and LinkedIn’s existing targeting system Voila! 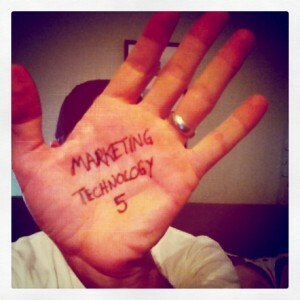 you’ve got yourself a influencer measurement system that is better than Klout. [MarketingSherpa] Many marketers struggle to implement link building, especially with the myriad of consistently changing factors search engines use to rank pages. With the April launch of Google’s new Penguin update, new struggles and questions have emerged. My Take: I selected this article because SEO optimization is a very technical topic and this is a nice primer on how to get starter. Yet I was left wanting more information about how to use your content to build links beyond the obvious options of your blog and social media outlets. [Wired] Last year, then-16-year-old Nick D’Aloisio developed and released the app Summly to be a CliffsNotes for the web. 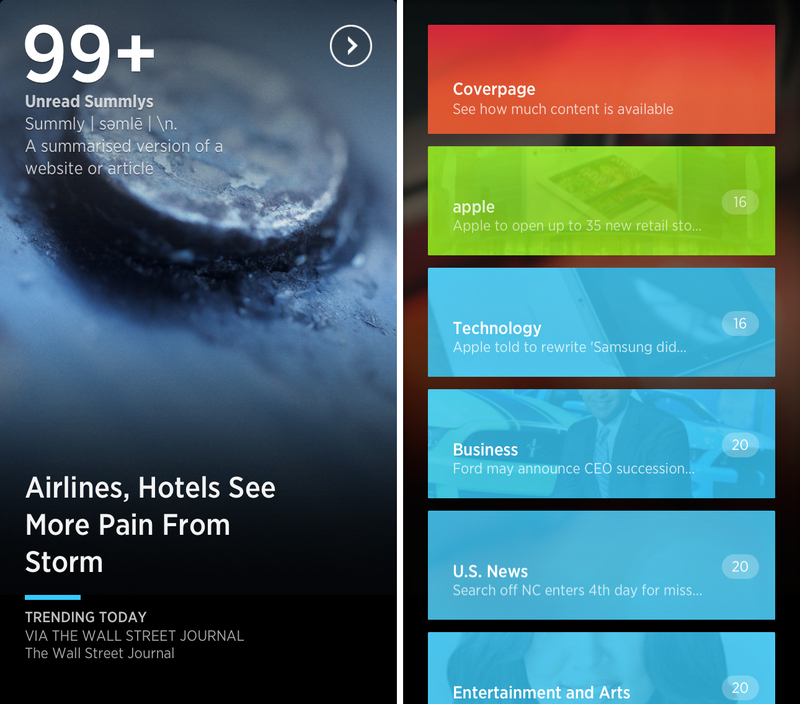 Today the app grows up with an innovative redesign and a more focused set of summarizing skills. Putting the news in a “snackable” form is a novel idea. I don’t find the swipe UI to be intuitive: Swipe up for more info. Swipe down to go to the main menu and side to side for more stories. I keep swiping up and down incorrectly.